A mini break is either Friday, Saturday & Sunday nights or Monday, Tuesday, Wednesday & Thursday nights. 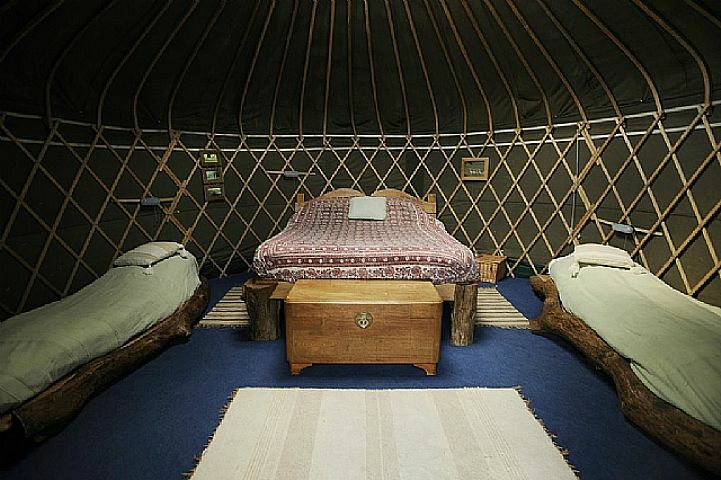 We now have an extra sleeping yurt with two more single futons so Brickles now sleeps up to 12! We've also updated the kitchen facilities to include a gas oven so you can cook without limits. The exclusive site is situated on the edge of the 60 acre Brickles wood, which is part of Hydes farm, a working dairy farm of 240 cows. The yurts face south east with far reaching views over the Blackmore Vale towards the chalk downs of Bulbarrow catching the morning sun. Brickles wood is a beautiful mixed wood which includes mature oaks, hazel coppice along with stands of pine and beech and a few wild service trees. This creates a superb diversity of habitats for birds and butterflies to thrive. Barn Owls and foxes can often be seen hunting the woodland edges. The site is child friendly and we welcome up to two dogs on this site. Hen do's and group bookings are also welcome at Brickles. Facilities include a small covered kitchen with a gas oven and an area for washing up, an outdoor bath with hot water from a wood fired hot water tank, a gas shower and flushing loo with small hand basin. There are excellent train links nearby at Sherborne, from which Stock Gaylard is a 10 minute taxi ride, there is a taxi office at the station. We recommend Dike & Son, our local family run supermarket in Stalbridge for groceries. They sell a range of local produce plus all the well known brands you use everyday. In addition we can provide Venison from the estate POA. It was amazing! Excellent facilities, location etc. We will definitely go back. Perfect set up & location! 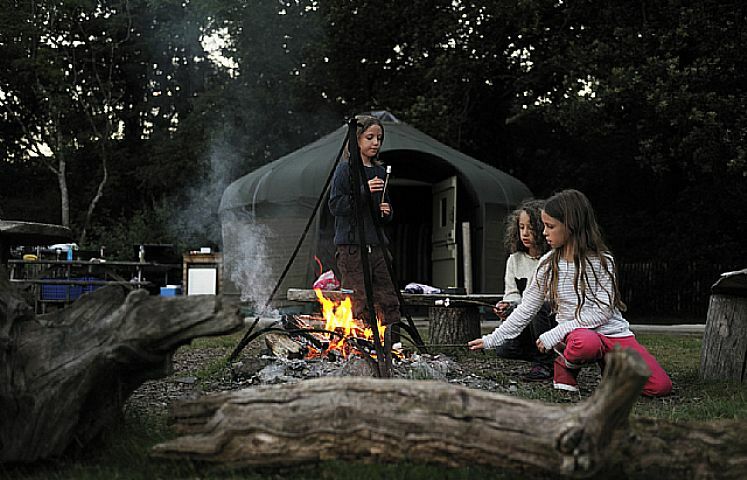 Brickles yurts were perfectly private and peaceful. 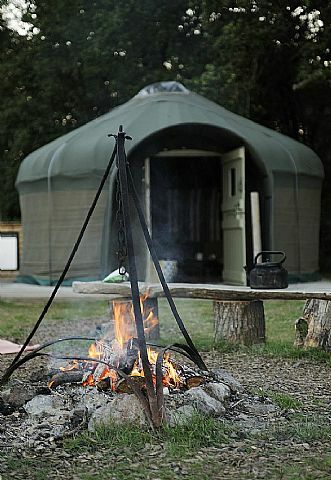 The beautiful spot was perfect and the yurts are expertly arranged and fitted out. They had everything we needed (or we were told in advance if things weren't). 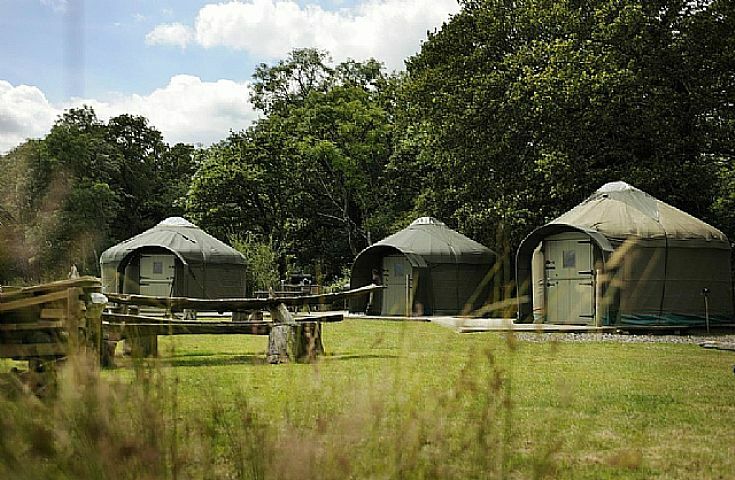 All facilities were great for a good glamping experience. The hosts were lovely and just attentive enough. We had a fantastic stay. Absolutely perfect, despite the rain. Lovely for walking, board games, playing with the dog, outside baths/ showers, BBQ and bonfires, or cooking inside. Still not convinced? See our latest reviews on our Trip Advisor page here.